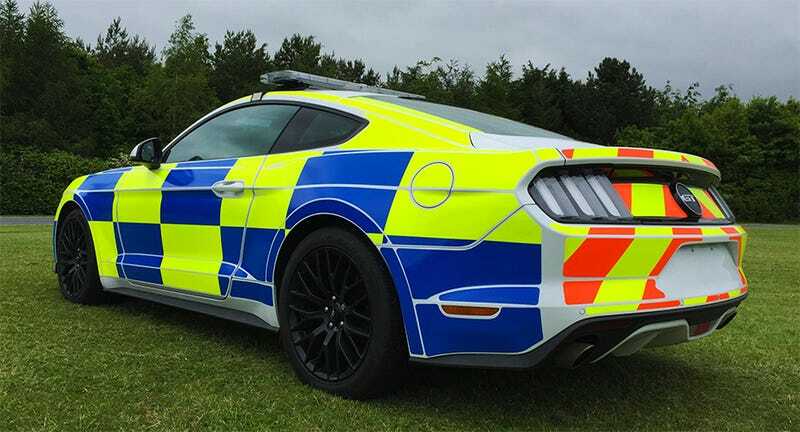 The 2016 Ford Mustang looks properly phosphorescent in British police livery. The 2016 Ford Mustang looks properly phosphorescent in British police livery. Reports say U.K. cops are evaluating the pony car for patrol duty this summer. And perhaps crowd control detail?